Do you know? These cherry blossoms are NOT the standard sakura. 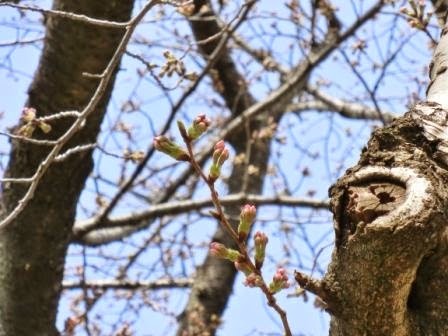 I’m repeating on this blog that cherry blossoms have many kinds. The blossoms in this photo are called Kawazu Zakura, which bloom earlier than standard Somei Yoshino. I saw them in Yoyogi Park in Harajuku, Tokyo, Japan, on 22 March, 2015. 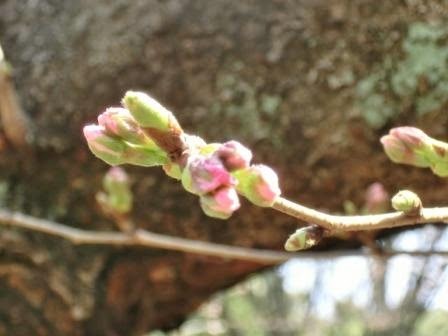 According to the cherry blossom forecast, cherry blossoms of the standard kind will bloom fully on 31 March in 2015. So Kawazu Zakura blossoms are full-blooming EARLIER than Somei Yoshino blossoms. In case you missed the best days to view standard cherry blossoms, it is too early to get disappointed. There are some kinds of cherry blossoms which bloom earlier or later than the standard Somei Yoshino. I’ve been repeating this many times on this blog. 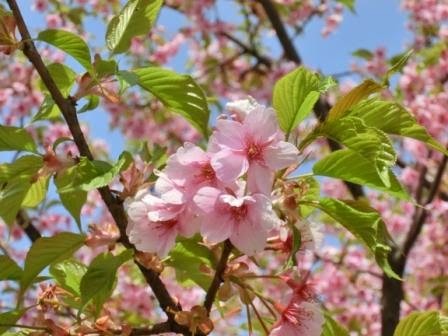 Look for other kinds of cherry blossoms in gardens, parks, and even local schools and streets, and you will find cherry blossoms which bloom earlier or later than Somei Yoshino. I’m going to upload non-standard sakura again in April, not only standard sakura. Hopefully next comes a weeping cherry tree. Whichever you are a traveler visiting Japan to view cherry blossoms or a blog reader, keep checking! 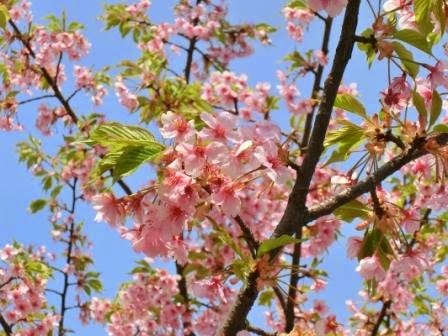 Cherry Blossom Forecast & Report for Tokyo, Japan, 2015 – Tokyo Direct Diary has been updating the forecast by a Japanese weather forecast company since January. Harajuku Sightseeing Guide – Yoyogi Park is just next to Harajuku Station. Standard Somei Yoshino Cherry Blossom Photos – My best photo selection in 2014. 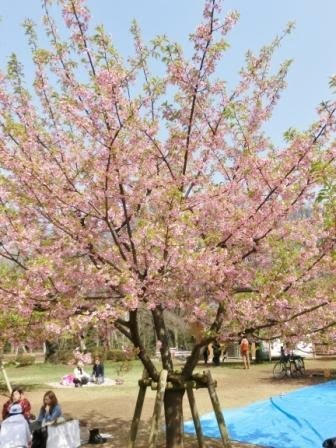 There is a photo of a weeping cherry tree, too. The Easiest Subway Maps of Tokyo City & The Easiest JR Train Route Map – Travel freely like a local with simplified maps!